Wishing you a happy All Hallows Eve in advance! Okay, gang, just wanted to wish you all a very happy All Hallows Eve, wherever you live and however you celebrate! I will most likely celebrate it the way I always do nowadays: A rustic wine (notice how big the jug is and how there appears to be only one autumnal wine glass! 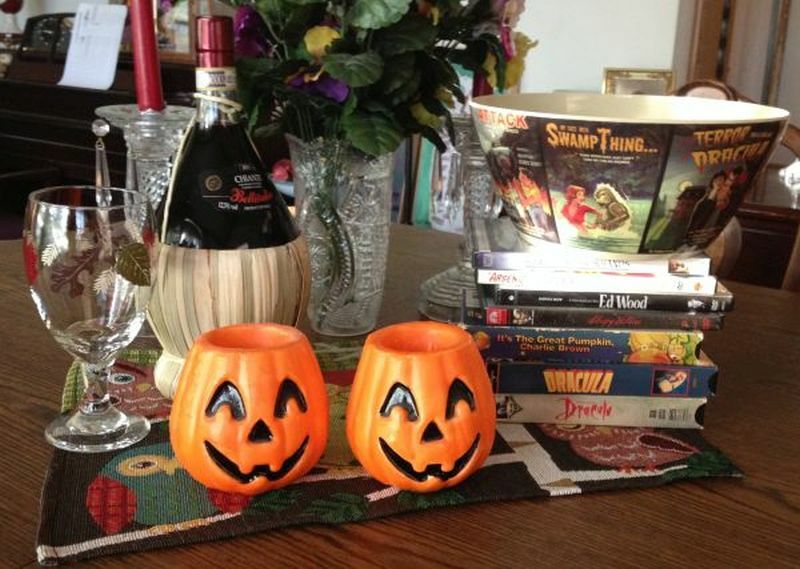 Hmmm); popcorn in my special scary-Halloween-movie popcorn bowl; and some sort of old, fun Halloween movie. (I include Edward Scissorhands in my Halloween movies, for some reason, even though it has that really sad Christmas-y snowy ending). My own personal Halloween accoutrements! 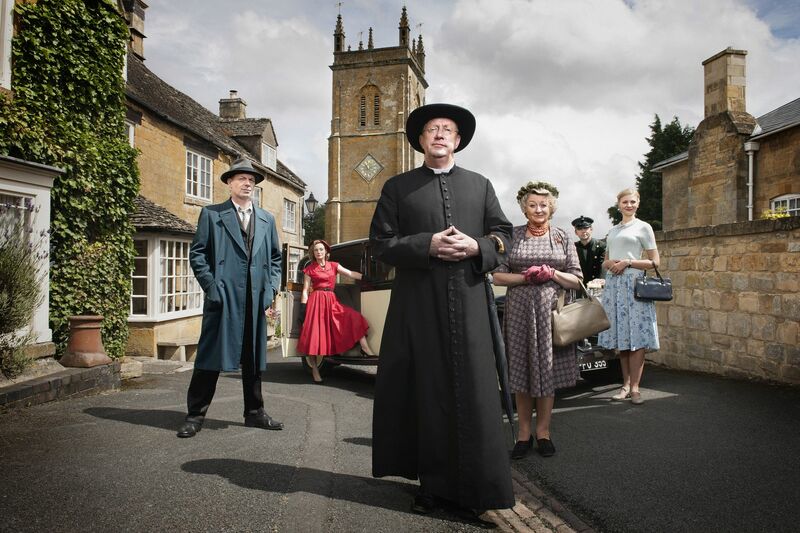 Actually, I will likely start my Halloween celebrations by watching the non-Halloween episode of Father Brown that I will be DVR-ing on PBS tonight. I love that show. My only complaint is that it is only an hour long so they have to cram way too much plot into the allotted time and then suddenly, boom, Father Brown in solving the murder. But I still love the show! I am totally into cozy mysteries. If you are still super young and have never spent time watching the older vampire movies, you are missing some real treats. Here is an assortment of truly cool movies that you can either find free on YouTube or hunt down before tomorrow night. This is a great version of the Dracula story that is full of soul brothers and is also kinda scary!! The infamous Blacula! Here’s something that was not creepy at all, from 1966, It’s the Great Pumpkin, Charlie Brown! There is of course the famous 1931 version of Dracula starring Bela Lugosi. If you have never seen this, well, frankly I find that hard to imagine! But the sets in this film are — if you’ll excuse the pun — to die for!! Oh, and here’s another one of my favorite’s, from 1992, Bram Stoker’s Dracula! Well, all righty! If you’re planning on staying in tomorrow night and have plenty to drink but nothing to watch, this list should give you a good start! In the meantime, have a terrific Thursday, wherever you are. And thanks for visiting, gang!! See ya!